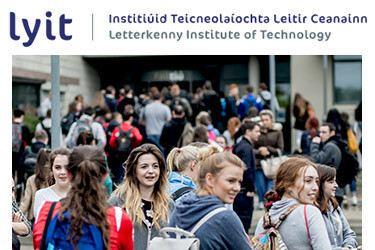 Open Day, Open Evenings and Information Days at Letterkenny Institute of Technology provide prospective students with an ideal opportunity to find out more about Degree programmes on offer at the college. Staff from each department will be available for advice and assistance. It is also a chance to speak to students and explore the outstanding facilities available at LYIT. Local schools usually bus their students to the event, but it is not just an event for school-leavers or indeed for locals, everyone, including mature and second chance learners are welcome to attend. Visitors from outside Donegal are welcome, whether individually or in groups. Parents of prospective students are also welcome to attend.